Zen AWeSim® is a state-of-the-art firearms simulator that recreates Small Arms firing range indoors. It is aimed at training recruits to Special Forces and Commandos. 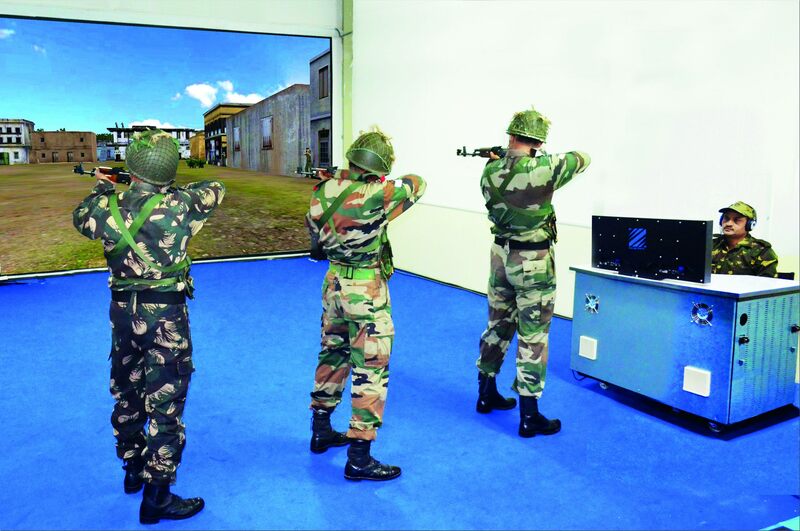 The simulator can be adapted to a number of firearms to impart basic training, hone firing skills, improve weapon handling skills and teststhe skill level of trainees in complex and war-like scenarios. 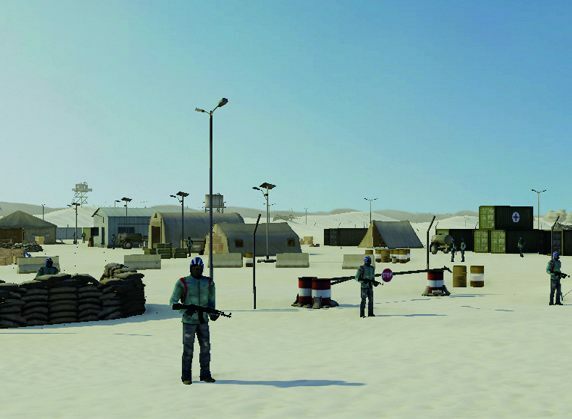 With smart authoring, training can be conducted wherever soldiers are located without the time and expense required to transport them to centralized training centers for multiple scenario-based training. SAS is a Point of Need (PoN) training system, it is easy to use, does not need any technical or software knowledge to create training scenarios at the location of deployment. 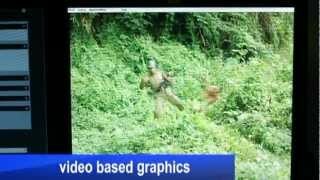 Scenario generation is as simple as recording a video through the camera of the phone and a full-fledged training exercise is created automatically. Bringing training to the soldier is far more efficient, saves time and money and results in better Mission Ready Soldiers. 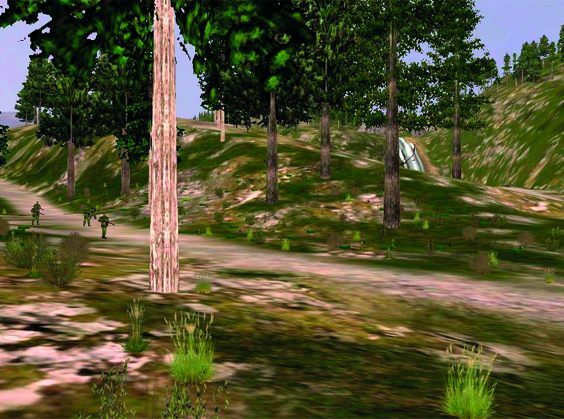 AWeSim lets trainees practice firing in realistic, projected terrains like deserts, mountains, jungles and plain to enhance the skill level of trainees. 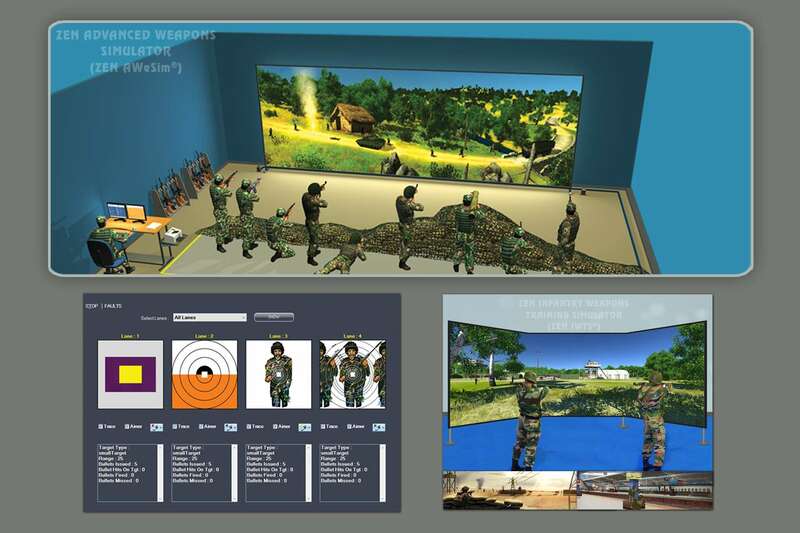 A 3D CGI scenario builder module of the simulator allows tactical exercises with models of all war-like equipment, vehicles, tanks, storage dumps etc. to be created by the user on a selected terrain. 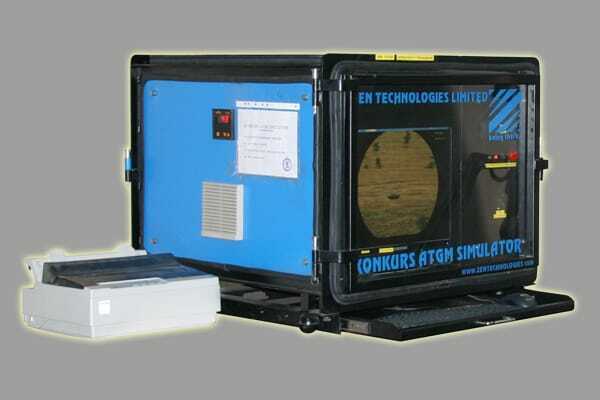 The simulator also enables Annual Range Classification to be carried out and the individual firing data stored for records. 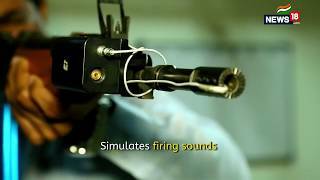 The simulator uses modified in-service weapons for the recoil effect. It can be configured with Small Arms, shoulder-fired Rocket Launchers etc. It allows user to fire from any position i.e. standing, kneeling or lying down. The simulator is ideal for company-level and upwards training. Mass training at battalions, training centers, and academies can be carried out incorporating all conventional training practices. Adaptive training technology enables individuals and units to get to the desired level of readiness faster and sustain that readiness longer. 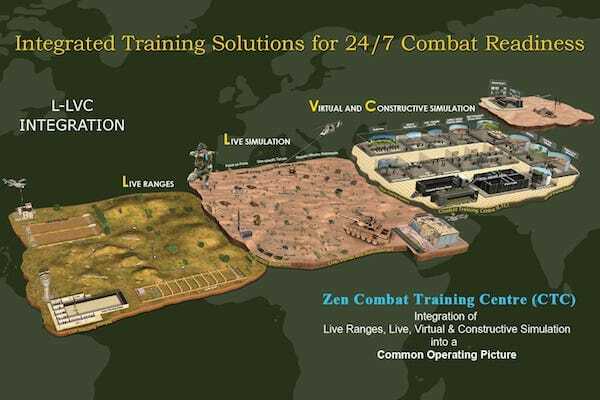 By analyzing the data generated by each training activity, Zen’s advanced capabilities quickly provide the commander with a detailed analysis of soldier, sailor, marine, small units, and maneuver formations training competencies. 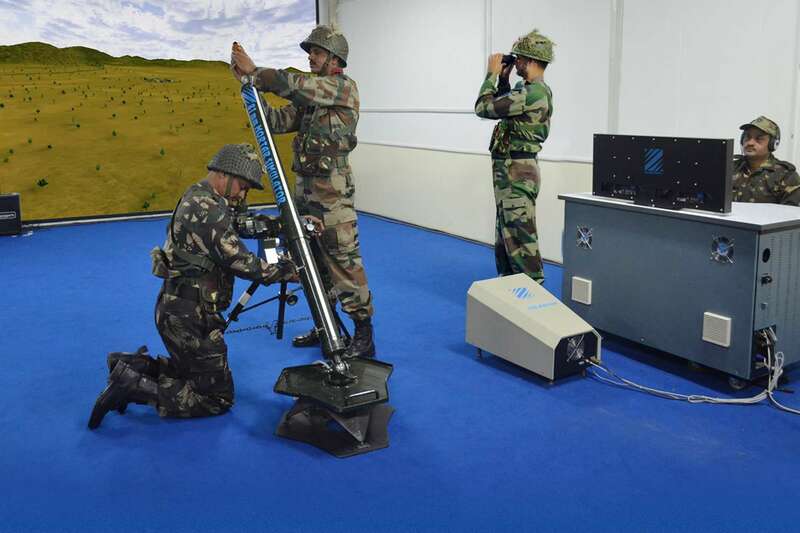 This information is then deployed to automatically personalize training to individual and collective strengths and weakness, resulting in more effective and better training, and ultimately more combat-ready soldiers and units.